It seems that every program in college football is getting a uniform overall. From the originators of the trend, Oregon, to traditional powers like Nebraska. Now it seems like everyone is in on the multiple new uniform game, except for some old southern folks. Why? They might be happier with championships. 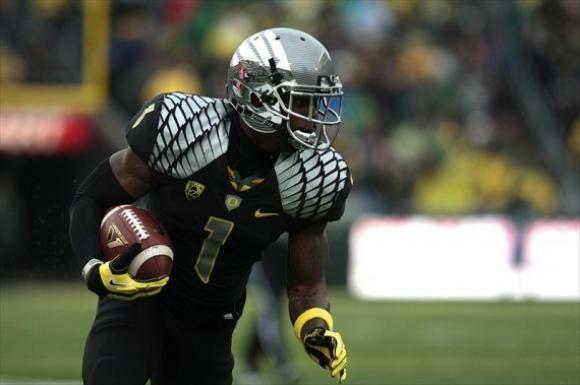 When Oregon let Nike begin playing around with their uniform looks people didn’t know what to think. Nike led the way. Over the years Oregon’s uniforms got flashier (with God knows how many combinations) and other schools began to follow suit. From Virginia Tech to SEC power Georgia, it looked like everyone was going jump into the flashy uniform revolution. But a funny thing happened on the way to fashion heaven, people in the South didn’t care for it very much. On Halloween night of 2009 the University of Tennessee ran through the historic Pride of the Southland Marching band Power T onto the Shield-Watkins Field with black jerseys on. Not flashy neon orange or some matte finish color, just black jerseys. Tennessee had worn the jerseys back in 1921 and new head coach Lane Kiffin was trying to bring a little bit of swagger back to Rocky Top on Halloween. The base revolted. The old timers were outraged. The ‘how dare you’ lines came flying out of the mouths of a very proud people. Tennessee has yet to go back to the jerseys and Kiffin has moved onto USC. Meanwhile the rest of college football has embraced the trend from West to East, North and South. Oregon State has redesigned their digs (not as dramatically as their in state rival but a redesign none the less), Virginia Tech now has a helmet that features turkey feet, Georgia Tech’s embraced the honeycomb look, while Indiana went the red, white and stripes route. Baylor, Oklahoma State, North Carolina (complete with great dance moves), Stanford, Boise State, Houston, Missouri and even Texas A&M and Johnny Football got some variety in their unis. Some notably absent names? Alabama, Auburn, Tennessee, Notre Dame, Texas, Penn State (minus the names on the back of the jerseys) Ohio State, Florida, LSU and USC have all shied away from the trend. Sure they have made some tweaks here and there but nothing wholesale like Oregon. What’s funny about all this? 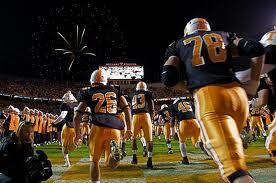 The teams that haven’t changed uniforms dramatically have won the last 7 National Titles. Can you see Bama in a black jersey and a matte crimson on the helmet? Maybe. It might look cool. But would the Bama base go for it? Nick Saben might have to change his phone number. 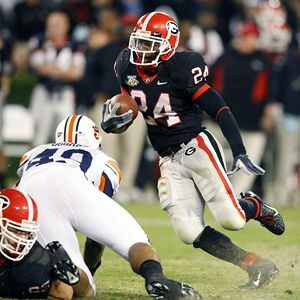 However, the first time Georgia broke out the black jerseys in 2007 it was a big deal…and they lost the game to Auburn. When Georgia let Nike break out some odd black & red combination in an early season match up against Boise State a few years ago guess what happened? That’s right, they lost. While new, flashy uniforms are a very cool thing to do for the players, recruits, and fans some teams can get carried away. New uniforms don’t win games. Players and coaches do. While having a ‘3rd kit’ that you can break out like they do in soccer might be s fun thing to do from time to time but it’s not really necessary. For comparison sake, when Sporting KC broke out their ‘3rd kit’ against the Portland Timbers earlier this year in Kansas City guess what happened? That’s right, they lost. The Tax Savy Hockey Player Or Is He Just Homesick?